MONDAY, Sept. 17, 2018 (HealthDay News) -- As deadly fentanyl is increasingly mixed into heroin and other street drugs, some drug abusers are getting smart, a new study finds. Fentanyl, a powerful synthetic opioid, has triggered a sharp increase in overdose deaths over the past few years. The drug is to blame for 44 percent of overdose deaths in New York City alone, according to New York University researchers. Now, at least some drug users in the city are adjusting their behavior to avoid overdosing, according to interviews with addicts. "Nearly all study participants were knowledgeable about minimizing their risk for overdose and many reported using methods to reduce their risk," said study lead author Courtney McKnight, a clinical assistant professor at NYU College of Global Public Health. Still, most users "were not consistent in applying these methods" each time they got high, McKnight said. In the survey, 55 drug users were interviewed at three needle exchange programs in New York City. Many voiced apprehension about using drugs that could contain fentanyl. Some said they had begun using "test shots" -- initially injecting a small amount of a drug to assess its strength. Some said they use test shots every time they inject drugs. Others do so only when they suspect the drug was cut with fentanyl, the researchers explained. A few programs distribute fentanyl test strips to avoid life-threatening overdoses, and users said they were trying them, too. More than two-thirds of the drug users carried naloxone, a medication used to reverse opioid overdoses, at least half of the time. Several participants said they had either used naloxone to revive someone else or had the drug administered to them. A few said they turned to drugs less often since the surge in fentanyl-fueled overdoses. "Using methods to reduce the risk of overdose was often complicated by structural factors such as stigma, poverty and homelessness, which were further complicated by dependence and the increased prevalence of fentanyl," McKnight said in an NYU news release. There is not one approach that will prevent overdose deaths among hundreds of thousands of drug users. But the researchers stressed all strategies should be used to help save lives. 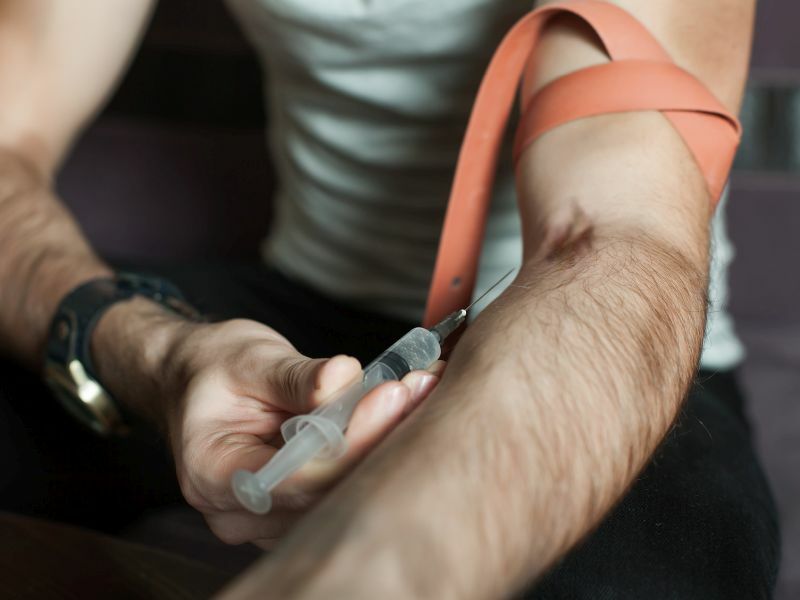 Supervised injection sites, like those New York City plans to open, are another method that can prevent overdose deaths, said study co-author Don Des Jarlais, a professor of epidemiology. "These sites provide a medically supervised space with readily available naloxone, sterile injecting equipment, and safe disposal of used syringes," he said. The study was published recently in the International Journal of Drug Policy.